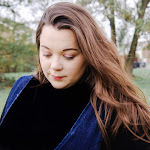 I am just going to put this one out there this could be a lengthy post, but it's jam packed full of information, tips and advice from a personal perspective to help those who are looking at blogging as a form of self employment. Becoming a self-employed blogger is not something that I ever thought was possible and now I am making a regular income and I am earning more than I have ever made in any of my previous employment. When it comes to blogging and making money there seems to be a LOT of misconceptions out there about how much money bloggers can make, some are more successful than others of course, like all employment sectors. Most people just see bloggers are taking photos, writing about them and making a few quid here or there. But listen up folks there is an opportunity to actually a decent wage with blogging. Blogging and social media influencing is definitely a job. Now it's certainly not easy to make money from blogging. But with a lot of hard work, a lot of time and dedication this has become my job. Blogger, writer, influencer, whatever you want to call it. It's a money maker for lots of people. I have to say that I don't have the biggest following in this bloggersphere, but there are lots of people who follow me, take the time read my posts, send me emails to talk about my content on my blog and there are brands that want to collaborate. So YES it is a real job. Although I am by no means an expert, I’m here to share my personal story about how I got started as a self-employed blogger. And when I say I’m not an expert, I am referring to the fact that I make a part-time income that ranges from month to month. When I first started my blog it was a time when I felt so low and my anxiety was at an all time high. I wanted to create a place that was just for me, to be creative, a place to write and most of all tell you all about the exciting adventures as a family of three. Two years on and I still absolutely love blogging. My little corner of the internet has done so many things for me as a person. It's kept me focused, encouraged me to chase my dreams and have a more positive outlook in life. I feel so lucky. I have got to know so many amazing and brilliant people from writing this blog. But to put it simply, my blogging became my true passion. It wasn't a future than I envisioned when I decided to press that publish button but it's been one of the most life changing decision I have ever made. And I am so proud of myself for following my heart and putting myself out there, warts and all instead of settling in a job that made me very unhappy. And this is what you have to do as well. If you are going self employed because you think it will be easy way to make quick money and become an internet sensation overnight, sorry folks, but that's unlikely to happen. Even the likes of Tanya Burr, Hannah Gale or Corrie worked their butts off to create their amazing platforms. But if you are reading up on how to become self employed because you want to go outside of your comfort zone or want the flexibility of working from home then make those goals and be ready to work for it. So are you ready? If you're thinking about earning any money from your blog, it's best to register yourself as self-employed just incase you do start earning a pretty penny. And by pretty penny, I literally do mean a penny. No matter how much you're earning you have to register yourself as a limited company, which basically means you're both the owner and an employee of your blog. To do this, all you need to do is set up a PAYE (Pay As You Earn) system to pay yourself with the earnings from your blog. Now I am just going to put it out there when it comes to tax returns or trying to calculate costs and working what you do and don't need for a tax return can be confusing. It's something that I have never thought about and something that really should be taught at school, as if algebra was useful for the real world. I really struggled when it came to figuring out what I needed to do and even seeking advise from websites and the HMRC can be overwhelming. Especially when it came to trying to figure out what I could and could not claim back for expenses. So much so, I purchased quite a lot of photography equipment, including lenses but I wasn't sure how I could claim the expense back as this was for my blog and my work with brands. When I was trying to find an answer I was completely inundated with answers and not really sure which one was right. I even called up HMRC and I was on that phone for hours being transferred to one department, to another. And in the end no one actually answered my query. One of the thing I noticed whilst being transferred to one to department to another, is that they had no clue why I was being passed to them. I would have to tell them my whole query over and over and I did feel as if they really just wanted to get me off the line. However, after my lengthy call with the HMRC I was none the wiser anyway. So back to the internet. But I came across a webpage for the HMRC direct contact numbers, which is amazing and saved me so much time being transferred to department to department. Specifically the Self Employment contact numbers which I something that I really needed that day, but I did find out what I needed to do and what I could and could not claim back for taxes. Once you are registered as self-employed you become a self assessment taxpayer, which means that you’ll have to fill in a tax return each year detailing your blog’s earnings and expenses. This needs to be done even if you have another job.The self-assessment tax form is actually really simple to fill out as long as you stay on top of your earnings and expenses throughout year, so be sure to note down any income and keep hold of your receipts to act as proof for anything you want to claim back on. You will have to do your Self Assessment to HMRC every year, keep records of all your earnings from your blog; it doesn’t matter if it was a one-off sponsored post, your monthly payment from a blogging network or any other payment you have received for work you’ve done via your blog. So from the get go try and figure out what kind of accounting system that works best for you. It's always best to try and keep it as simple as possible, especially if you intend on keeping your own books. Accounting is all about balancing what goes out with what comes in, then recording the transactions and cross referencing them to the documentary evidence. These could be invoices or receipts, and you’ll need to keep copies of everything for five years as a self-employed person. I keep my invoices and receipts in a little blogging file, so when it comes to doing my tax returns there's no last minute worries about finding invoices or receipts. However if you’re completely new to bookkeeping or accounting, get some professional advice on how to set up a system that will work best for your business. An accountant or professional bookkeeper would be happy to offer some help. And sometimes these can be a stress free option because they know exactly what they need to do. Depending on your business, certain things can be classed as expenses which are deducted from your annual gross earnings before any tax is calculated. You only pay tax on your profit. You can claim for all the costs of running your business, providing the cost was purely for business purposes. So what can be classed as an expense? Well, that all depends on the business you run. If you work from home, you can claim a portion of heating, internet, rent or phone costs. You could even claim a mileage allowance if you use your car for business or events, or claim allowances for stationery or postage costs. Expenses can be rather confusing, there is plenty of information on the HMRC website, if you you need help an account or bookkeeper can help you figure out which is expenses, so they can make sure you're not paying too much tax. As you’ll be self-employed or an employee of your own company, you’ll be responsible for your own tax. This is something you really don’t want to mess up because it’ll get expensive. Depending upon what sector you’ll be working in, there may also be numerous legal implications you need to consider. Each year, everyone who is registered as self-employed is required to fill in a self-assessment form; whether you have made profit or not. HMRC will send you a reminder notice which will prompt you to complete this either online, via telephone or through the post – again I opt for online as it is so quick and simple. This is where good record keeping comes in handy as you will need to know how much your income and outgoings were over the tax year. And once your assessment is complete you will be given a figure that is your payable tax and national insurance for that year. If you do not complete your self-assessment then you will receive a fine for not doing so. You can’t expect to start a business and instantly become successful. It’s going to take a lot of time, effort and hard work. Anything worth having doesn’t come easily. If you don’t have much patience, you’re going to easily become frustrated, especially during the early days. A successful blog is all about being a skilled writer and being amazing in marketing. A blog with great content and a successful marketing strategy can’t survive without the other. No one is going to read your blog if your content isn’t strong, and so no one is going to read your blog if they never come across it. So don't ever be afraid to share your content. So for all of your beginners out there who are reading this and having a panic attack, don’t freak out. It has taken me the good part of two years to grow my blog and platform, it's been a continuous learning curve and one that I am sure will continue from hear on out. So are you ready to become a self-employed blogger? 10 comments on "How To Become A Self-Employed Blogger"
Ah that's sweet, I really hope it helps you beauty! You little star, I really appreciate any shares! You're so kind! This is such a useful post! Thanks for sharing! You're welcome my little beauty, thank you for reading! This post is crazy helpful and one I’ve already bookmarked. Sadly my blog isn’t anywhere close being able to go self employed but I am grafting and dreaming that one day it will be! Very helpful post. I’ve struggled to find this info all in one place, so thank you for sharing.